How to watch Anvil! 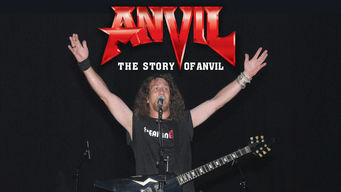 The Story of Anvil (2008) on Netflix Netherlands! Yes, Anvil! The Story of Anvil is now available on Dutch Netflix. It arrived for online streaming on October 4, 2017. We'll keep checking Netflix Netherlands for Anvil! The Story of Anvil, and this page will be updated with any changes. This documentary follows the pioneering heavy metal act Anvil as they cope with obsoleteness, recover from a disastrous tour and record a new album. A band of rock 'n' roll survivors isn't about to let their dreams disappear along with their youth.